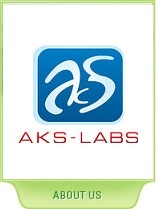 AKS-Labs was founded in 2000 and now is focused on creating powerful and easy to use security solutions. The Find Protected addresses the security problems associated with unauthorized or illegal use of confidential company information. This utility aims to protect your company from electronic data leakage and reveal inappropriate use of sensitive files. With Show Hidden Files, IT administrators can do a deep inspection of employees' files to enforce an intelligent data security policy across their organizations. Show Hidden Files is a computer forensics software designed to find password protected files. Disk Search Assistant is a windows file search utility designed for searching files on local disk and across the network. Index Search Assistant is a tool designed specifically for pdf indexing. PDF Search Assistant is a PDF search engine, designed specifically for Acrobat documents. Strategy2Act is a Balanced Scorecard software, use it to measure and control business performance, for instance using human resources metrics. Outlook Task was designed to do outlook export for Outlook tasks. Sam Miller's web-site. Sam writes about his experience with popular business solutions, for instance, how to convert powerpoint to flash to bring presentation online. Developed products include wide range of reporting means that's why collaboration is easy with AKS tools. AKS products are used widely. Home based professionals as well as representatives of large companies found our products easy to install, configure and use. It doesn't require much time to integrate our products into your workspace.